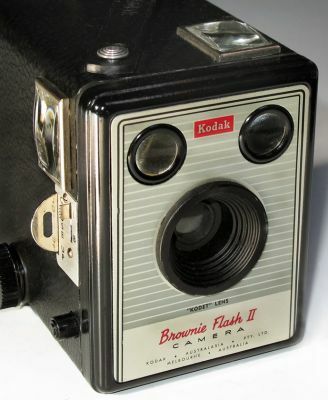 Cameras Downunder Gallery - Australian Cameras/Australian Brownie Flash II. Kodak Brownie Flash II. Kodak camera for 620 Rollfilm, made by Kodak Australasia.